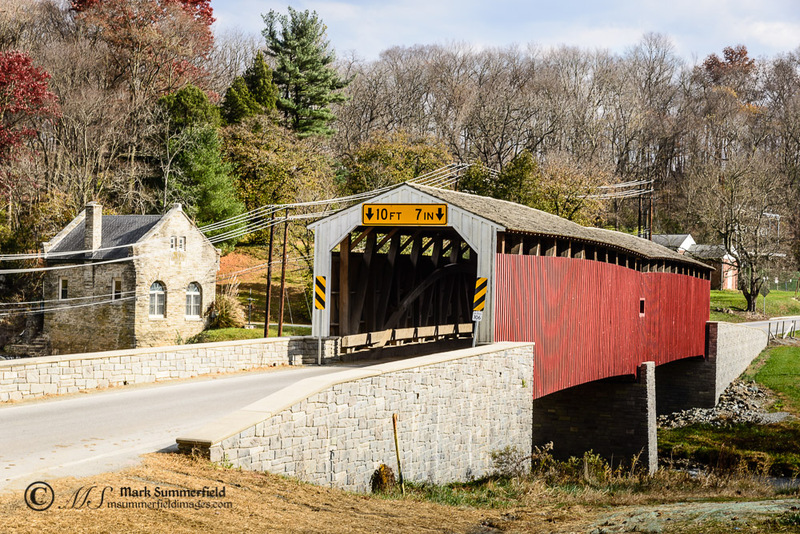 The Pine Grove Covered Bridge spans the East Branch of the Octoraro Creek creating a link between Lancaster and Chester Counties in Pennsylvania. 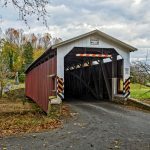 This Burr Arch Truss design bridge is the only double span covered bridge in either county still in use. 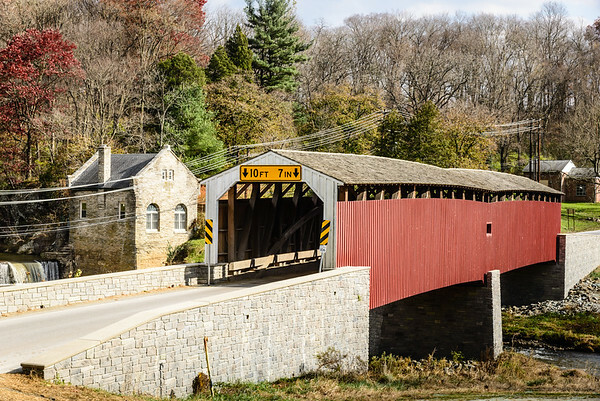 It is also the longest covered bridge in either Lancaster or Chester County. The first bridge on this site was built in 1816 but was destroyed by flood waters. 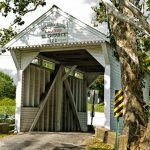 A replacement was built in 1846 but this was swept away by ice necessitating the construction of the current bridge in 1884. The bridge has been reinforced with steel hanger rods to enable traffic to continue to use the bridge. It still, though, retains an oak plank deck. 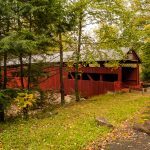 The Pine Grove Covered Bridge spans the East Branch of the Octoraro Creek creating a link between Lancaster and Chester Counties in Pennsylvania. 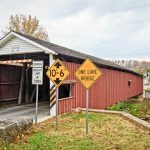 Gotta love these old covered bridges. Nicely photographed, Mark. There are quite a few of these in Pennsylvania. 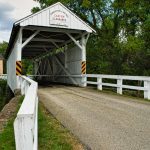 I visited a few in Lancaster County and the Amish country area.